When another restaurant pops up in Dubai, and markets itself as offering authentic cuisine from our region – we get so excited. 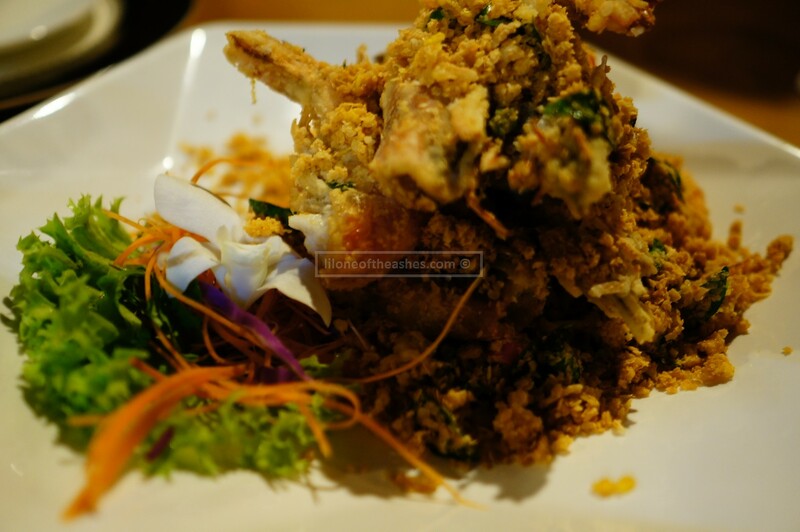 Took us awhile to check this one out – I’ll blame it on attempting to make plans when you have two under two’s, and the fact that Kim’s Singapore Seafood is located at the other end of town. Let’s dissect the dishes we had, and I shall attempt to be brief (if ever possible). 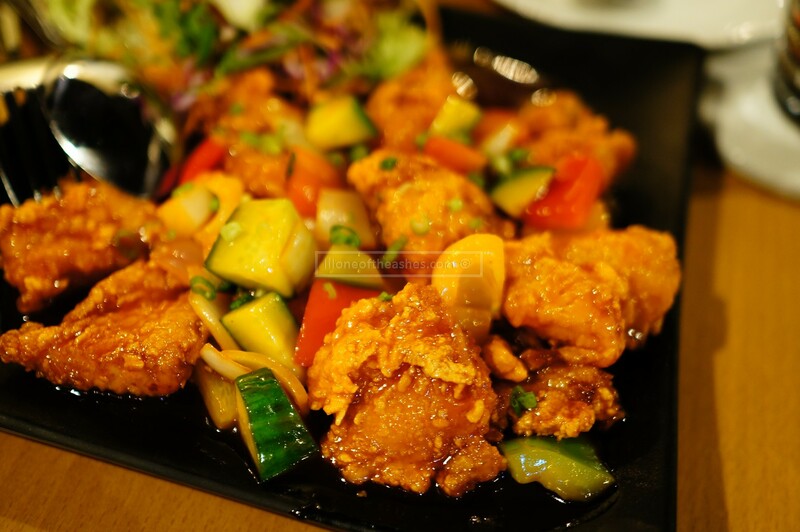 Crispy cereal prawns (85AED) – possibly the first time I’ve had it in the UAE and one of my favourite dishes from home and one I will order whenever we went out for dinner with the family. If you have never had this before, please try it. Deep fried prawns coated with butter and crunchy cereal, fried with curry leaves and chilli padi – so fragrant and so good. We had two orders of the Sweet and Sour Sliced Fish (85AED) – on hindsight I should have asked what fish they used (too busy chatting away with friends, that’s how good a food blogger I am ay 😉 ). Though delicious and the sauce was on point, I thought the serving size was rather small. I am not usually a fan of squid so have no comments on the fried sambal squid (85AED), however our friends managed to devour this dish quite quickly. The fried beef with black pepper sauce (75AED), again another dish we ordered twice – my personal favourite – the beef was tender, and the sauce, peppery and sweet. 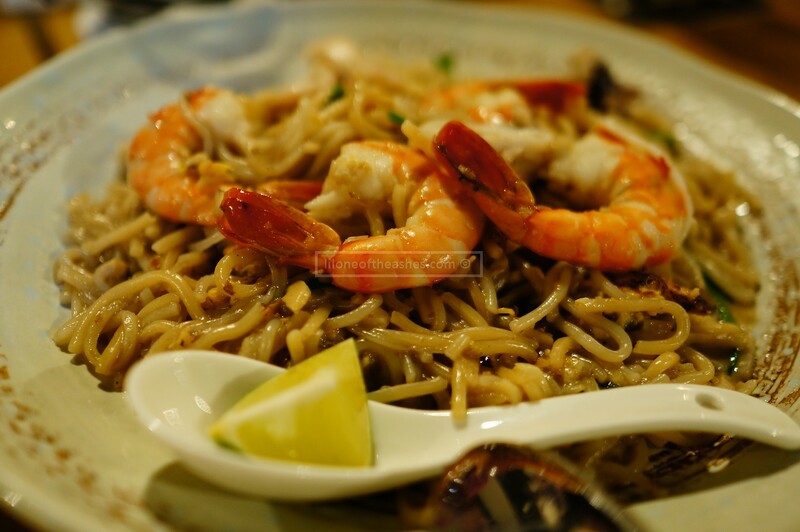 Star of the evening for our Singaporean friends was the Hokkien Mee (75AED) – which according to them was authentic – quote ‘Amazing how they managed to execute it without lard.’ The Malaysian bunch was quick to argue that this is not Hokkien Mee (we just do it differently there 😉 ). Please order this if you go to Kim’s. The fried sambal kang kong – very spicy, and definitely overpriced at 55AED (c’mon guys, it’s AED5 for 500g of this at Wen Chao Supermarket), and was 29AED in Leten which was located in Dubai Mall! I enjoyed every dish that came to the table. Highlights for me were the crispy cereal prawn and black pepper sauce beef. Nice ambience – Al Seef is another fab development (shout out to Meraas). The terrace was packed on a Friday night. We chose to sit indoors as we had a couple of kids with us and wanted to be away from the crowds, but it was still quite nice inside. They are licensed! Happy hour is great – 2 for 1 with beers at 39 AED (therefore 39AED for 2) AND they have Kirin! Is Al Seef meant to be an expensive area in Deira? Kim’s Singapore Seafood’s prices seem to make it so. Let’s look at numbers compared to what you would get to something similar in the most popular area in Dubai – Dubai Mall. There was Leten, and now there is New Shanghai. A bowl of rice in New Shanghai costs 9AED vs 15AED in Kim’s. 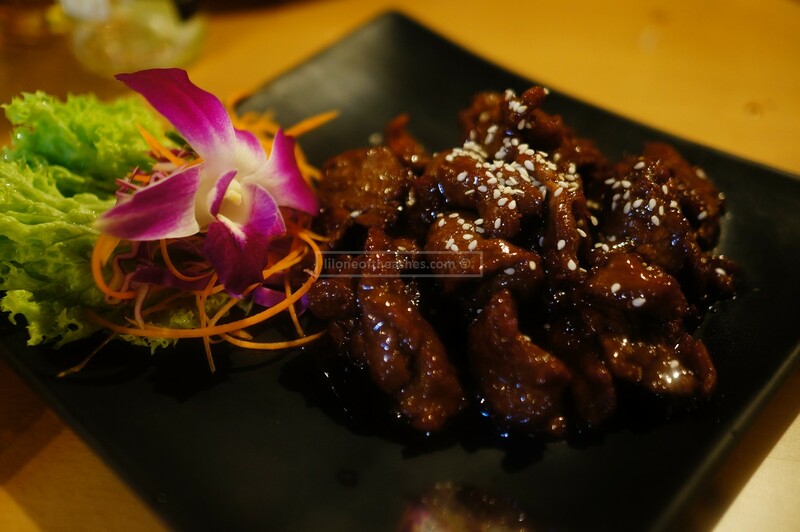 New Shanghai’s Black Pepper Beef – 67 AED / Leten’s is 65 AED vs 75 AED at Kim’s. Sambal Kang Kong is 55 AED at Kim’s vs 29 AED at Leten. Suggest to adjust pricing a little, say by 15%. Otherwise, increase portion size. No local water available at all, they serve only Monviso with a 750ML bottle at 35AED. New Shanghai, Leten, and even Din Tai Fung serves local water under 20AED for a large bottle. Suggest to include local water in the menu. More signage in the basement parking to assist patrons to restaurants. Emaar does this really well (ref: underground parking in Downtown Dubai). Still, as always, we had a great time on Friday. The bill came up to about 180 AED per person, and if you remove the alcoholic drinks (only 4 overall for the entire table), it would have been around 170 AED per person. That, is pricey. It would have made some sense if they were located in say Souk Al Bahar or somewhere more central like Souk Madinat Jumeirah (Note – I am comparing licensed areas). Maybe Al Seef is meant to be an expensive part of the creek (I haven’t been to the other restaurants so I don’t know)? I would quietly wait till they get onto the Entertainer and come back 🙂 Maybe then we’ll give their crab a try. Disclaimer : We paid for our meals (To be exact, our dear friends treated us that night! Xie xie. We’ll definitely miss you guys when you leave 😦 ) All thoughts for this review are our own.